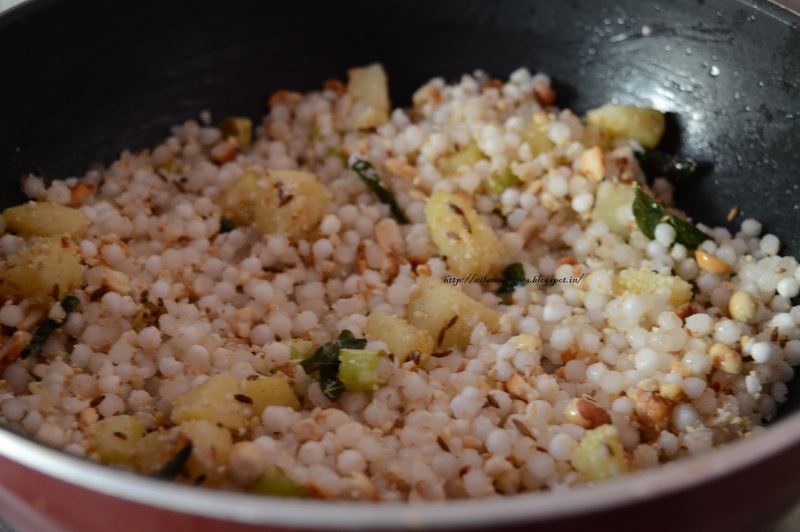 Sabudana khichdi tastes so awesome. It’s soft and relishing. Perfect blend of carbohydrates and proteins (peanuts) for the breakfast. 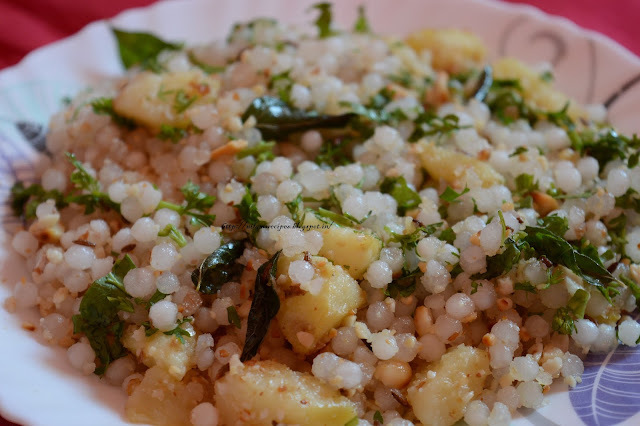 Sabudana khichdi is a permissible food for Hindu fasting and it’s easy to make at home. 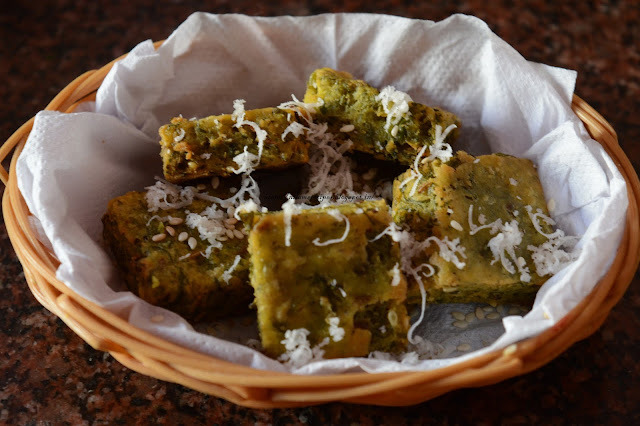 This amazing dish finds its place in the menus of canteens, restaurants owing to the considerable popularity in Maharashtra. Read the Maharashtrian style recipe for sabudana khichdi and make it perfectly! Wash sabudana two to three times. 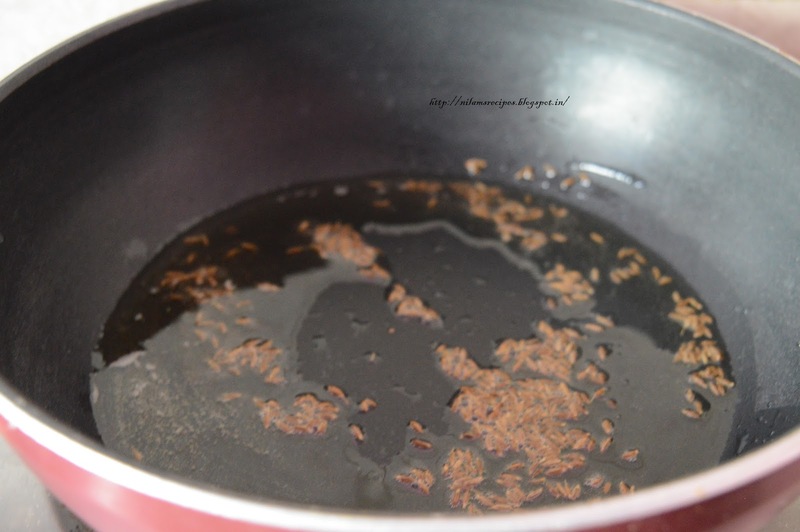 Soak the sabudana in enough water for 6 hours or overnight. Let’s check sabudana is soaked properly or not. Dry roast peanuts, peel off the skin and grind coarsely. Wash and chop green chilies. Peel the boiled potato and cut into cubes. 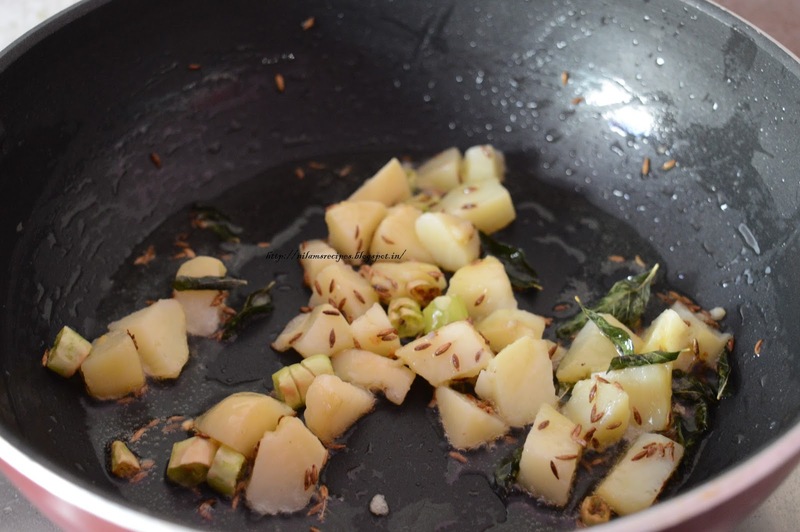 Heat ghee in a pan on medium heat. Once it hot, add cumin seeds, let them sizzle. 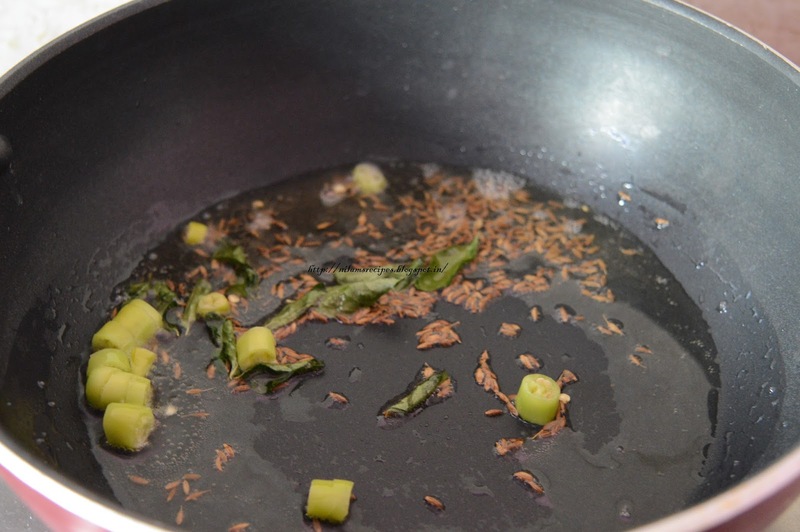 Add curry leaves, chopped green chilies and saute for few minutes. Add Potato cubes saute for another few minutes. Add soaked sabudana, crushed peanuts saute for 4-5 minutes, stirring well. Add salt, lime juice and sugar mix well. Remove from heat. 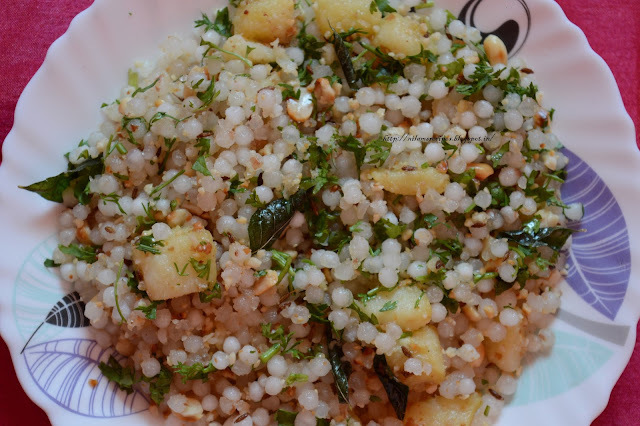 Sprinkle chopped coriander leaves. 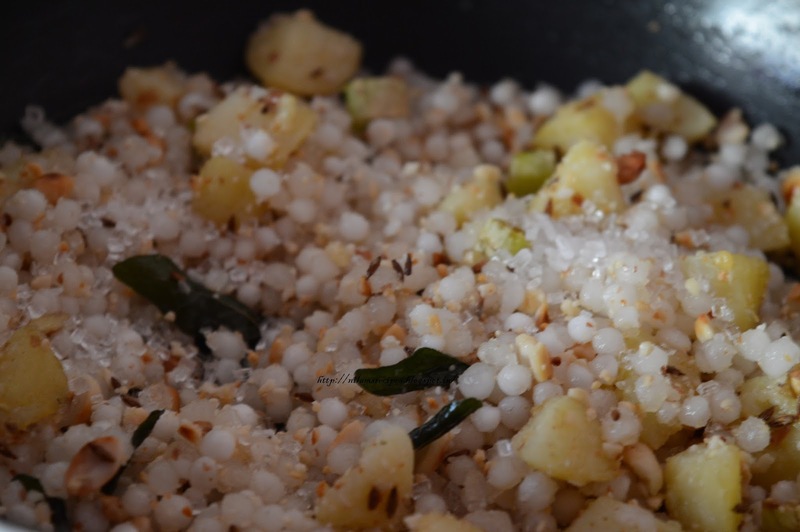 Sabudana Khichdi – Served hot. 1) Do not soak in more water. Otherwise the sabudana will becomes gooey. 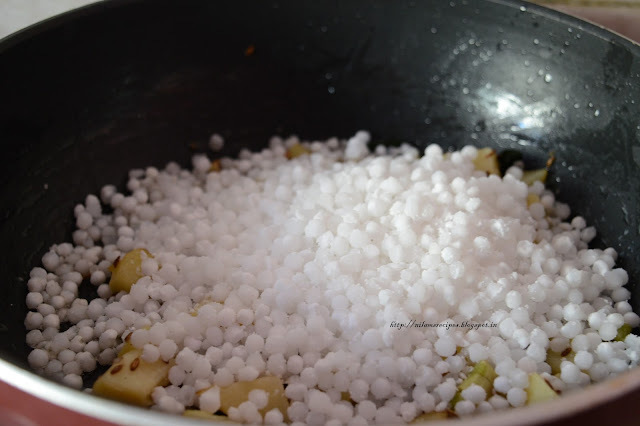 2)The pre-soaking of sabudana before making sabudana khichdi depends on size of sabudana pearls. 3)You may add red chili powder to make it colourful. 4)It’s preferable to keep the ingredients ready and handy. 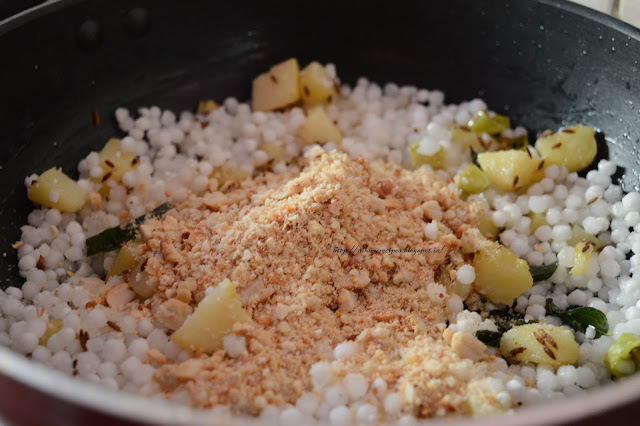 5)For better texture and soft nature, stir well while making.